Your Complete Guide to Factor-Based Investing: The Way Smart Money Invests Today - IFA Vintage and Current Book Library - Index Fund Advisors, Inc. There are hundreds of exhibits in the investment "factor zoo." Which ones are actually worth your time, and your money? 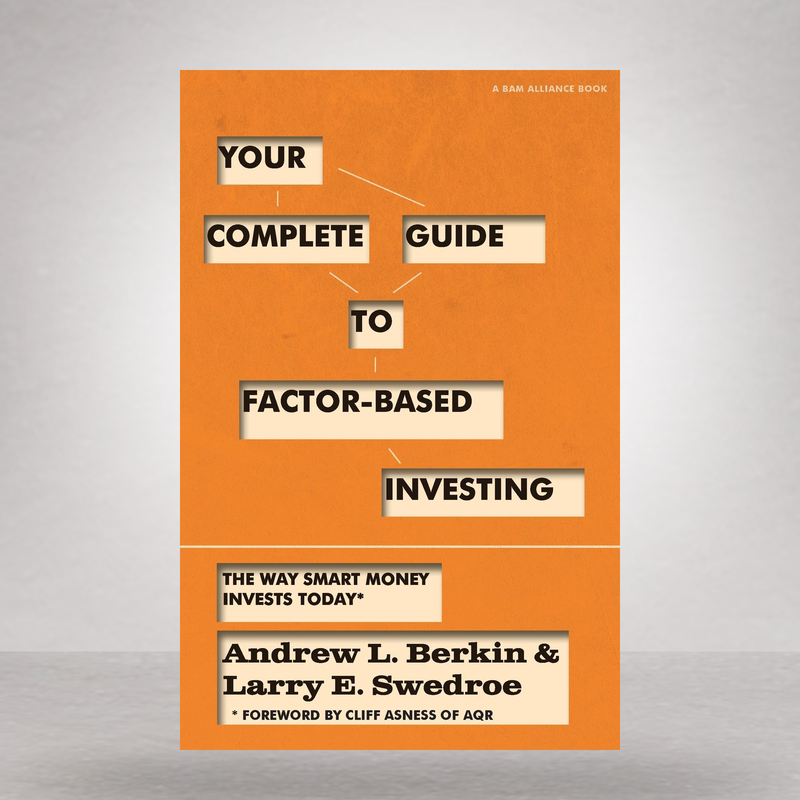 Andrew L. Berkin and Larry E. Swedroe, co-authors of The Incredible Shrinking Alpha, bring you a thorough yet still jargon-free and accessible guide to applying one of today's most valuable quantitative, evidence-based approaches to outperforming the market: factor investing. Designed for savvy investors and professional advisors alike, Your Complete Guide to Factor-Based Investing: The Way Smart Money Invests Today takes you on a journey through the land of academic research and an extensive review of its 50-year quest to uncover the secret of successful investing. Along the way, Berkin and Swedroe cite and distill more than 100 academic papers on finance and introduce five unique criteria that a factor (at its most basic, a characteristic or set of characteristics common among a broad set of securities) must meet to be considered worthy of your investment. In addition to providing explanatory power to portfolio returns and delivering a premium, Swedroe and Berkin argue a factor should be persistent, pervasive, robust, investable and intuitive. By the end, you'll have learned that, within the entire "factor zoo," only certain exhibits are worth visiting and only a handful of factors are required to invest in the same manner that made Warren Buffett a legend. Your Complete Guide to Factor-Based Investing: The Way Smart Money Invests Today offers an in-depth look at the evidence practitioners use to build portfolios and how you as an investor can benefit from that knowledge, rendering it an essential resource for making the informed and prudent investment decisions necessary to help secure your financial future.